It's important to make money from your YouTube audience because that's what allows you to continue to focus on serving that audience well, but how you go about making money can make all the difference in whether your actually do make money or not. Tonight we'll share some of our tips, ideas, and lessons we've learned for how to best promote merchandise, sponsors, and Patreon to your YouTube audience. Let me show you exactly how I make money on YouTube. I earn enough money to support my family and a small team of other people through this channel and I'll give you a break-down of where the money comes from, including Adsense, how I earn it, and how you can make money to earn a full time income on YouTube, too. The #YouTubeIsOverParty hashtag has been trending due to YouTube's demonetization of videos that are apparently not advertiser safe. I feel like a lot of other people expressed similar thoughts as mine, so I didn't jump in right away, but enough of you are still asking about my perspective, so here's a brief overview of what I think, including a few thoughts I don't feel are being mentioned as much. 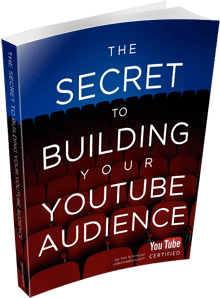 Creating, launching, and selling products you create to your YouTube audience is usually a much better way to both serve your viewers and make more money that you can typically earn with Adsense.